Books can be long. Sentences can be short. Repetition beats inspiration for commercial success. I’m David Bloody Peace. As any avid reader will know, it’s frequently the second or subsequent reading of a book that gives you a real insight into what it’s all about. Equally, giving up on a book part-way through tells you all you need to know about that work. But all too often, you’ll read a book just the once and walk away with an experience that might actually be quite misleading. Such, I suspect, is the case with David Peace’s “The Damned United”. I read this once, seduced by the subject matter and what sounded a suspiciously extravagant claim to “get inside the head of Brian Clough”. The prose style was – well, let’s say ‘different’. But it survived a one-off read and, give or take some fanciful fictionalising together with a legion of liberties taken with history, it got me through three or four evenings tolerably riveted. And I got a perverse jolt out of the title. The Damned United. 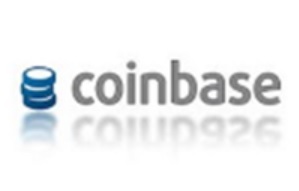 That’s us, that is. I guessed there and then that Leeds fans would take it up as a badge of honour. I guarantee that is not what was intended. Then a short time ago I heard that Peace had written a similar book on Bill Shankly and I read some distinctly lukewarm verging on unimpressed reviews. Intrigued, I asked my wife what she’d thought of the author’s bleak crime series set in West Yorkshire in the seventies, at the time the Ripper was active. She pulled a face that spoke a thousand words. So, I decided to revisit “The Damned United”. Many will be familiar with the storyline. Some from this book, others less helpfully from the lamentable film of the same name. Then there are those lucky few who actually lived through the events described, or who are students of Leeds United history; they will be the best informed of all. Whatever the rights and wrongs of the narrative, whatever injustices were done to the likes of Johnny Giles, Don Revie and Clough himself, whatever the departures from historical accuracy – it is the style, for want of a more appropriate word, that I want to address here. So let’s see if we have any more success in getting inside the head of David Peace than the author enjoyed in his attempt to read the character of Brian Clough. As a task, it should be a lot less complex. Into the office, sit at the desk, boot the computer. I sit staring at the screen and wait for inspiration. No ideas. No Clough speaking to me. Not here. Not today. It’s the first day of a project. The first day. Of how many days? The project is Clough. But he’s not speaking to me. Not here. Not today. I write down some random sentences. Pick them up later, use them where I can. Use them again and again. It’ll do. Don’s office, Don’s bloody desk, Don’s chair. Brown envelopes stuffed with cash. Whispering in the corridors of Elland Road. Elland bloody Road. Under ugly Yorkshire skies, an ugly Yorkshire stadium. There I am. Don’s office, Don’s bloody desk, Don’s chair. Brown envelopes stuffed with cash. That’ll do, I can use that. I just need to get inside Cloughie’s head now. But Cloughie’s dead. He’s not speaking to me. Not here. Not today. I have a break. Clear my head, make room for Cloughie, if he decides to talk. Out into the garden, breathe some clean air. Then it’s back to it. Back to the project. Back to that damned United, waiting for Cloughie, though Cloughie is dead. Back to it. Into the office, sit at the desk, boot the computer. Brian is in my head. Brian is swearing. He’s the Leeds United manager but he hates it. Hates it. Hates Leeds United. I can hear him. Hating Leeds United, hating Don bloody Revie. There he is. Don’s office, Don’s bloody desk, Don’s chair. Brown envelopes stuffed with cash. Whispering in the corridors of Elland Road. Elland bloody Road. Under ugly Yorkshire skies, an ugly Yorkshire stadium. I can do this. I’m David Peace. David bloody Peace. Author. Huddersfield Town fan. Hate Leeds United, hate, hate, hate. Hate them for what they were, for what they are. Cloughie is the same as me, like that. But Cloughie is dead. And now he’s gone out of my head for the day. But there’s always another day. Always. Always one more bloody day. Into the office, sit at the desk, boot the computer. No ideas. No Clough speaking to me. Not here. Not today…. And so it goes on, that style. In parodying it, I actually cut down on the repetition, minimised the number of stock phrases, decimated the profanity count. But it gives some idea, I feel, of David Peace’s formulaic approach to establishing his own “style”. There, that troublesome word again, “style”. Some authors have an inimitable style because it’s genuinely unique to them, it can’t effectively be reproduced by other writers. Some authors’ styles should be inimitable because nobody would really want to imitate them – except in parody. Mr Peace falls into the latter camp. On first reading, it’s something you can live with and the narrative bumbles along, reinforced, it seems, by the constant repetition, the continual use of pre-packaged standard buzz-phrases. It’s meant to convey the turmoil inside Clough’s head, the way he continually questions, cajoles, reassures himself. At first glance it appears to do that. But on revisiting this book, I found myself irritated by the repetition, wearied by the recurrence of the buzz-phrases, disillusioned with it all. In “The Emperor’s New Clothes” everyone marvels at the Head Honcho’s wonderful new invisible costume, right up until the little boy, unhindered by years of training in subservience and hypocrisy, calls out “But that man’s bare naked!” – and the illusion is shattered. One re-reading of “The Damned United” was enough to shatter the illusion created by my first reading, and I know now what David Peace is all about. I’d be interested to learn how long the book would be without all the padding. Not exactly of epic length, I suspect. If you were also to subtract the ubiquitous profanity in Clough’s speech – in real life he was not, apparently, a profane man – then Peace’s Meisterwerk would be shorter still. Honest, Brian – it’d be none the worse for that. In George Best, the football world lost a massive talent if not a truly great player, when the maverick Irishman died prematurely at only 59 in 2005. In the twelve years since his tragic death, the debate has continued over his place in football, his ranking among the legends of the game. Best was a genius technically, blessed with the skills to enable him to do pretty much whatever he wanted on the football field. But he was also a flawed and addictive personality, less able than most professionals to deal with the pressures of professional football, more likely to be swayed from the straight and narrow by the temptations that would face any rich and over-hyped young man. That being the case, Best could hardly have suffered a worse fate than to be taken onto the books of Manchester United as a callow youth, there to develop as a skillful footballer, but also to be lost in the maelstrom of hype and self-aggrandisement that has dogged the Old Trafford club since the start of the Matt Busby era and, particularly, since the Munich Air Disaster in 1958. For Best, it was the wrong club at the wrong time; he needed a different approach and a less relentlessly goldfish bowl existence. Stronger, less easily-led personalities than George Best prospered at Old Trafford, but the combination of George’s skill, personal attractiveness and extreme marketability made him ripe to be chewed up and spat out by the Man Utd/media publicity machine. Therein, the seeds of his eventual destruction were sown; Best was doomed by the unfortunate circumstance of becoming a Man United prodigy, his downhill path plotted even while he was enjoying such spectacular, early success. It could all have been so different for George Best. What he needed was a better and more professional environment, somewhere his stellar talent could have been harnessed for the benefit of a crack team of inseparable brothers. Somewhere with a “Side before self, every time” mentality, with a manager who treated his players like sons and their wives and girlfriends like daughters-in-law, a place and a club where press flattery did not venture, but where instead a siege complex was fostered that strengthened the squad from within. George Best, had he but known it, needed Don Revie and Leeds United; if history had worked out differently, and Best had grown up alongside the likes of Billy Bremner, Eddie Gray, Peter Lorimer and ex-Man Utd star John Giles, then I would venture to suggest that his development and indeed his whole existence would have been along such radically different lines, he may well have been still alive today. George was let down by his football club, its management and the surrounding hype and worldwide acclaim. He was considered by many to be the greatest of all time, a view he would publicly endorse on his own behalf on many occasions. And that says a lot about George, about his inadequate standards and lack of humility. It’s something that would have been ironed out of him swiftly and early at Elland Road. Such conceit was frowned upon in the ultra-professional environment at Leeds, where individual skill was fostered and encouraged mainly within the pattern and demands of team requirements. Those were of paramount importance in Revie’s blueprint, so you had world-class talents like Gray, Bremner and Giles willing, nay, eager to devote their own brand of genius to securing the optimum team results. They’d have kept young George’s feet on the ground alright, and the Leeds backroom staff would have been there every step of the way, nurturing Best’s talent, inculcating the team ethic, bringing him down when that was needed, boosting him when necessary. The fact that Eddie Gray succeeded at Leeds was proof that a properly motivated and disciplined Best could have succeeded as well – and he’d have a had a long career, a longer life, if only that could have been the case. It’s such a shame about George. The Manchester scene was all wrong for him, as would most probably have been that of London. Moreover, the club where he landed, at such a tender age, was in the business of producing legends, media stars to feed the delusions of their fans and meet the post-Munich hype and voracious desire to be the biggest, the best, the most glamorous. It takes a hardy seedling to prosper and grow in a hothouse like that and, despite early promise and a devastating few years of gaudy brilliance, George was doomed to wither and fade far too soon. The scars of that traumatic fall – he won his last club honour at only 22 – affected him for the rest of his life, leaving him easy prey for unscrupulous advantage takers, and for the buzz and temporary relief provided by alcohol. 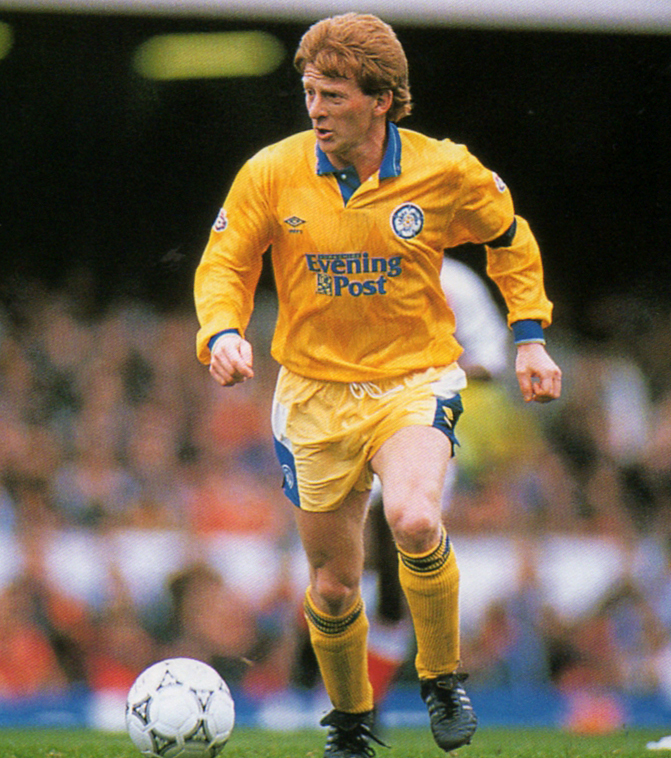 Who can deny that the more focused atmosphere and environment of Leeds United would have kept Best on the right path, providing him with a stage on which his technical genius could flourish, giving him the tangible rewards his prime deserved and yet never received? In the public consciousness, Best was the Best – because we’ve been relentlessly told that’s the case, which has a lot to do obviously with the media circus and public adulation surrounding such an over-hyped football club. But sober analysis identifies Best as a genius footballer who was not a team player, not a very professional player and certainly not, over the span of his career, a world-class performer. Best, for all his talents, was not in the top twenty of all-time greats – but he should have been. He could perhaps have been right up there, among the best of the best. That he wasn’t and isn’t is something revisionists will deny, but a look at the facts and stats tells its own damning story. George Best could gave been a much greater footballer, and he could still have been with us today. If only he’d been lucky enough to have started out, under Don Revie, at Leeds United, just as the Super Leeds legend was being born in the early sixties. What a different and infinitely happier story his might then have been. My Elland Road history is one of a gradual progression that has seen me following the varied fortunes of Leeds United from many different vantage points within that famous old stadium. I started out in the much-lamented Lowfields Road stand, its venerable roof famously braced by cross wires to stop it being blown away by anything above a stiff breeze. My spectating debut was in the funny little “shelf” area that ran the length of the stand between the terraces below and the seats above. I attended a good few games there, with our Gray and, solemnly in charge, my Dad – who saw that our match-day equipment included milk crates for us kids to stand upon, thus enjoying some sort of view. When I first started going to Elland Road independently, I stood on the Lowfields terraces, but found the passion and buffeting of that experience a little too much – softie that I was. So the next move was to the Boys’ Pen, in the North-East corner of the ground. I stayed there until a ticket mix-up meant that I faced a choice between missing a League Cup tie against Everton, and braving the rigours of the Kop. I screwed up my courage to make my debut on that mighty and cacophonous hill – and never looked back. From that time on, I was a dedicated Gelderd-Ender and the Kop years represent my golden era of United support. When the Kop went all-seater in the wake of Hillsborough and the Taylor Report, it never felt quite the same to me, and I sympathise with those who never experienced the thrill and surge of a packed Gelderd. One moment I’ll always remember is when Dave Batty scored against Man City early in our League Title season of 1991/92. As Batty himself later admitted, he was never much of a goal-scorer “but, against City, I were prolific”. Over a hundred games after his previous goal, at City in the late 80s, Batts hit the back of the net against the same opponents in ’91 – and at the Gelderd End, too. The whole stadium erupted in joy unconfined; I believe injuries were sustained on the Kop that day but, trust me, nobody felt any pain. It was a magical moment, the stuff from which legends are woven. When my time on the Kop came to an end, my attendance at Elland Road growing less frequent, I became something of a nomad, taking in the view from the South, West and East of the stadium. I was getting older and more curmudgeonly, less able and willing to tolerate the stresses of a packed crowd, or of bored kids making me get up and sit down all the time as they passed to and fro. I was becoming my grumpy Dad and, frankly, it had ceased to be fun. I was even considering a flirtation with Ponte Collieries, though my heart and soul belong to Leeds and always will. I just couldn’t hack it any more; I’d never got over the loss of the terraces, not that I’d last five minutes there, these days. But now I’m back, a habitué of the press area courtesy of semi-regular Leeds United newspaper columns and, though I say it myself as shouldn’t, what has become a pan-global blog. Finally, I’m finding myself somewhat cossetted in experiencing an environment a bit kinder to middle-aged sensibilities. Last Saturday, I watched the Ipswich Town match beside one of my heroes, Norman Hunter, a legend of the Don Revie era at Leeds. I was utterly star-struck, but Big Norm was chatty and amiable – until the game started. Then he was kicking every ball, totally absorbed in the action, grievously upset at every United mistake (and there seemed to be a lot). It was an education for me in terms of what an old pro expects of the current crop, with the desk in front of us taking some punishment as Norm fulminated away. On my other side was erstwhile press-box doyen Don Warters, former Leeds United correspondent for the Yorkshire Evening Post. As Norman stumped off just before full-time, on his way to do his corporate bit in one of the lounges, I remarked that he didn’t seem too happy. Don grinned and replied, “He never is”. I guess such hyper-involvement and the severely critical outlook goes with the territory for those guys who’ve been there and done it, especially at the level Norman, Billy and the rest played. But still, looking on the bright side – we did win on the day to stay top and, despite a couple of awayday blips recently, we’re still doing quite well overall. The football has been genuinely exciting so far this campaign, a real pleasure to watch and even to write about. What’s more, it’s a great view among all the scribes, the club kindly provides sandwiches, coffee and other such civilised comforts – and the company is amazing. All in all, just when I thought I was coming to the end of my Leeds United journey, it’s really wonderful to be back at Elland Road. They say that great players don’t always make great managers, and Bobby Charlton is a stand-out example of that essential truth. His brother Jack, by common consent not anything like the player Bobby was, but ten times the bloke, was by far the more successful manager. Then again – he learned from the best. And they will twist the argument around to show that average players can make great managers. We’re usually invited by a brainwashed and indoctrinated media to take Alex Ferguson as an example of this; my own choice would be Arsene Wenger, a deeply average player but a highly superior coach, tactician and innovator who made a significant dent in the Man U monopoly of the Premier League – despite the vast off-field advantages of the Salford club. Remember Wenger’s “Invincibles”? But there are a select few examples of truly great players who went on to be truly great managers – the likes of Busby and Dalglish, for instance – and I will argue passionately to my last breath that the best of the best was Donald George Revie, who died of Motor Neurone Disease 28 years ago today. Revie was clearly a thinker, and developed very definite ideas about the game during his playing career, ideas he would later put into practice to devastating effect as a club manager. It is undeniable that, during his thirteen years in charge at Leeds, he elevated them from simply nowhere in the game to its very pinnacle, preaching togetherness and the team ethic above all else. Respected judges within the game have described the football played by Leeds at their peak as unmatched, before or since. In the eyes of many, that Leeds United team were the finest English side ever, a unit of grisly efficiency and teak-hardness yet capable of football which was outstandingly, breathtakingly beautiful, intricate in its conception and build-up, devastating in its effect. As the sixties wore on, the Don would add Mick Jones and Allan Clarke to his formidable squad while it grew up together in a family atmosphere at Elland Road. Rarely if ever before or since can a manager have been so involved in his team’s welfare and well-being; no mere tracksuit manager this. There would be flowers and chocolates when a player’s girlfriend or wife celebrated a birthday, a listening ear and helping hand whenever problems threatened to affect a man’s form. Revie was a father figure to his players for over a decade, forming a bond of mutual loyalty and respect that still sets the standard for enlightened management today. 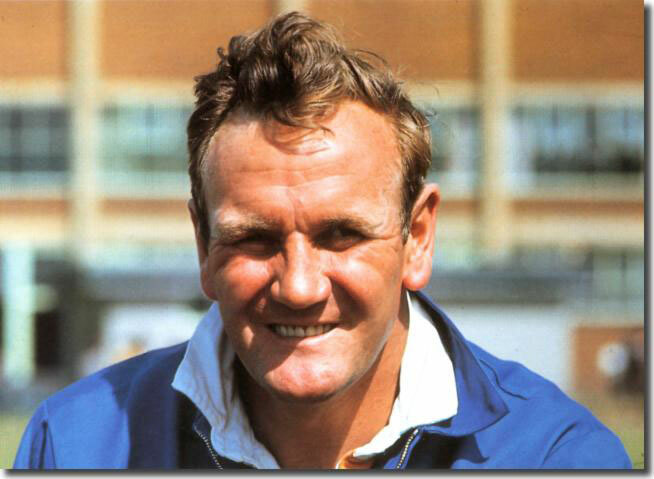 Don Revie has been described in scornful terms by the ignorant, as a dossier-obsessed and over-superstitious manager, then again as a coaching genius by some people of insight and judgement, and as simply the best by his players who still survive from that amazing period of Leeds United’s dominance at home and abroad. He was perhaps too reliant on lucky suits and the lifting of gypsy curses, and other such supernatural preoccupations. He could maybe have let his team “off the leash” a little earlier than he did – when given full rein, they were next door to unstoppable. But it’s hard to hold the caution and superstition of the man against him; this was a time unlike today when livelihoods depended on a bounce of the ball, when results mattered in a bread and butter way. There were no cossetted millionaires then, no examples of young men who could pack it all in tomorrow and live in luxury for the rest of their lives. It all meant so much more in those days and the word “pressure” had real resonance. 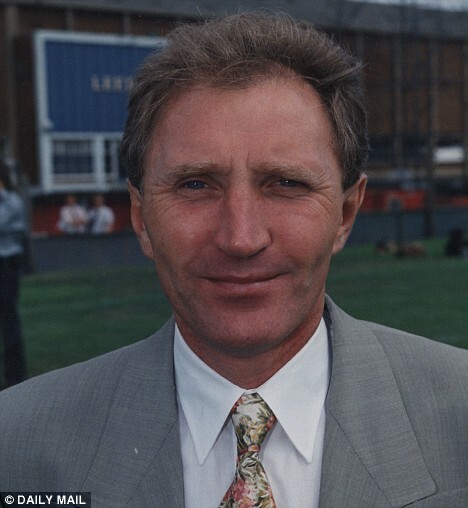 On the day after a manager who will merit, at best, a tiny footnote in Leeds United history, shamefully walked out on the club – it’s fitting that we can remember with fondness and immense pride a true managerial giant. Donald George Revie (1927 – 1989). Simply The Best.